But before we can start we have some very important disqualifications – or should I say dismomifications? 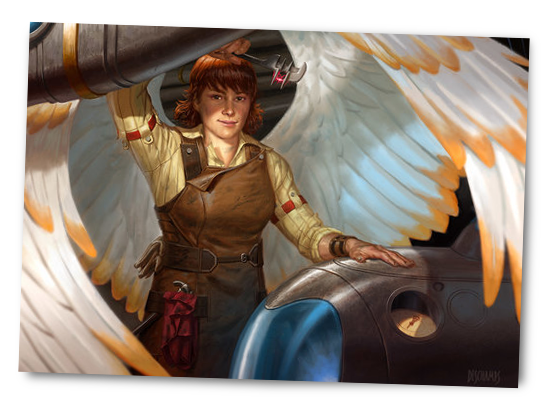 Tiana is a sweet and pure cinnamon roll, a lover of machinery, an engineer and an artificer and could not say no to anyone. Her philosophy as espoused by her flavour text, nothing is too broken to mend is sweet and a good attitude for a mom to have but Tiana herself is the kind of person who apologises to ants for sweeping them off the countertops. Maybe one day, Tiana will graduate into momness, but for now, she is not ready. Tiana absolutely could use a good mom, though. Good news on that front (and we’ll get to it). From one who is Not Yet Mom Enough to Jaya Ballard, who has transcended to the higher plane of a Mom’s Mom. Jaya Ballard may not be a mom right now, but behold her fearsome power as a Mom Squared. Grandma Jaya is the kind of grandma who’d teach you how to make a knuckleduster out of a pencil case when you really needed it, and I think we all can respect a grandma like that. Uhh, you know how Tiana wasn’t ready yet for momness? Chandra is definitely not ready yet for momness. 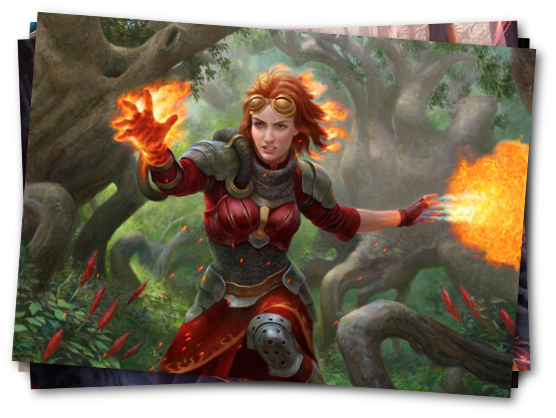 Chandra is more your rollicking sister type, the kind who when she hears you’re being bullied probably sets someone’s house on fire. Sometimes, though, you’re not in the running for momness because you have your own thing going on. Evra is a little too distant and mystic to make a good mom, and they’re a little bit bound up on the whole thing about commemorating the destruction of their city and safeguarding the Caves of Koilos. You need to be able to recognise as a mom that not everything is going to be about your thing, and I don’t think Evra’s there yet, what with still being all about Halcyon millenia after its fall. Alright, now with those particular exceptions set aside, let’s talk about the top fifteen moms in Return to Mominaria. Okay, so we’re not starting out very strong. Garna is the leader of a warband that’s explicitly xenophobic and warlike. I guess it’s good to recognise when you’re dealing with someone who isn’t going to listen to you or be a good influence. In this list, Garna definitely gets an F-rank for momness. 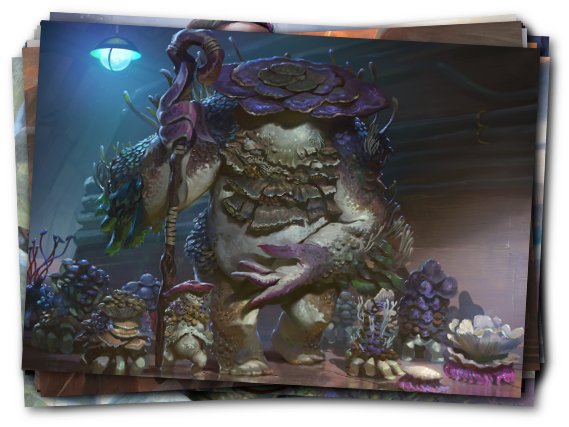 Muldrotha is a complicated lady. First of all, she’s the spirit of a land that is corrupted in part by absorbing the corpse of one of the greatest evils that ever existed. Second, she’s a type of nature spirit possessed of vast power and terrible knowledge, which renders her almost constantly filled with rage. 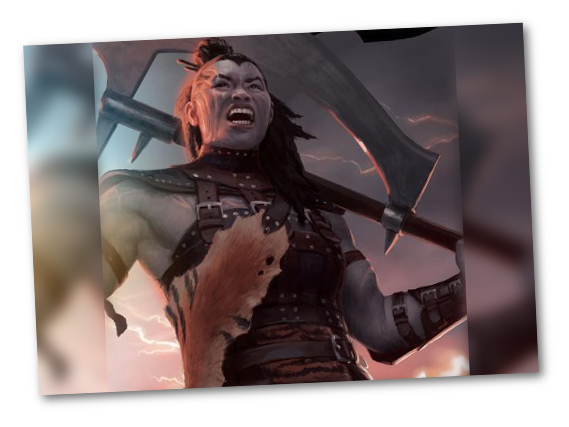 Described as wild, dark and relentless, Muldrotha is a fearsome lady, and maybe not the best mom, but, when she’s asked – asked! 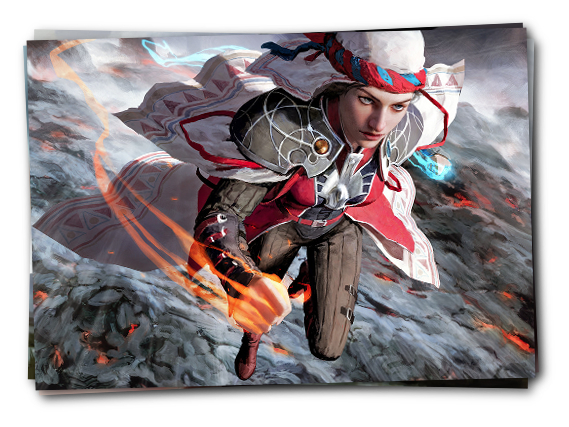 – to help, she was willing to help the Weatherlight by defeating Yargle. Sometimes a mom who can’t quite connect or handle her own stuff can still remind you she’s there to protect you and fight those who would hurt you. Remember, we’re all still unpacking our stuff! Adeliz is much more of a cool mom type. She’s an academic, but she’s one who knows her roots and her cultural history. 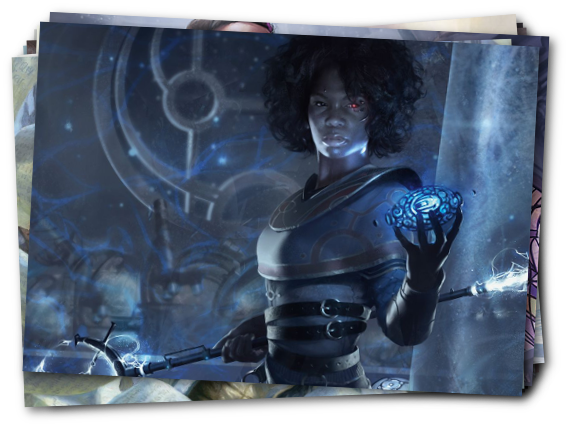 When she went to Tolaria to study, she incorporated her Ghitu clothing – and made sure she was allowed to do it. Passion and prudence, indulgence and study, Adeliz is a really good ‘working mom’ style. On the other hand, she might be a little prone to getting wrapped up in late night readings and miss the time she needs to get you to soccer and let’s not kid ourselves, her backup plans for that probably involve time or fire, two things that have never gone wrong in Tolaria. Alright, now, look, ‘merciless’ isn’t necessarily the best term you want to associate with a mom figure. But let’s not sell Aryel short. 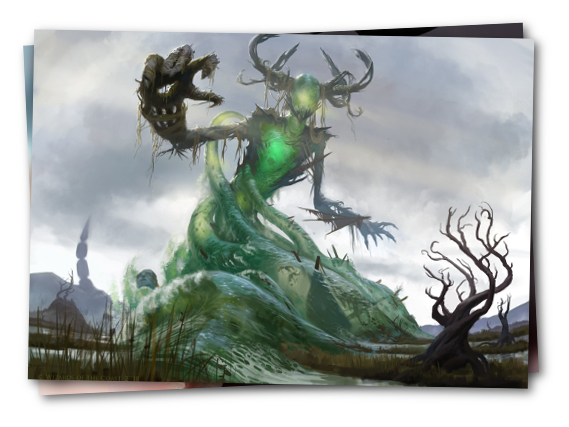 First of all, Aryel is from Urborg, the aforementioned tomb of a great incarnated evil, a beast so powerful it tormented the very land around it. Coming from that landscape you’re going to have to deal with some rough stuff. Second, she has a panther – and I’m told there’s no way that cats can be bad. Also, Aryel leads knights. And when the time comes for her to lead them in battle, they work together to destroy enemies much bigger than all of them. You can respect a mom who leads and holds to a noble ideal, despite coming from a very dark place. Alright, when Radha was younger she was a bit of a hothead. Okay, a really bad hothead. She made fun of people and she started fights and she summoned lightning. But after the Mending, Radha settled down and showed her ability to care for and respect people. What’s more, she wasn’t wrapped up in her own stuff so much to stop thinking about how she was going to influence other people. Radha cares about making sure the world she’s shaping is going to be good for her friends and her people – and that crucial empathy is a good, important thing for a mom. Also she’s a big square mom! Who doesn’t love a big square mom? Danitha is kind of on the cusp. She’s almost more a Cool Big Sister type than a mom but let’s for now leave that particular window a little wider. 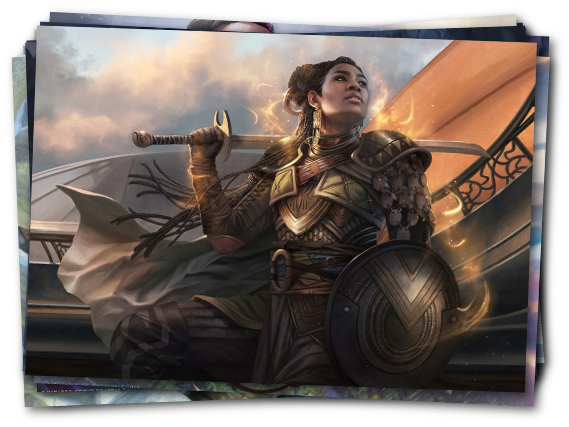 We know Danitha didn’t want to join the Weatherlight and go out adventuring, because she had to stay at home and defend what was her, the last legacies of Benalia. 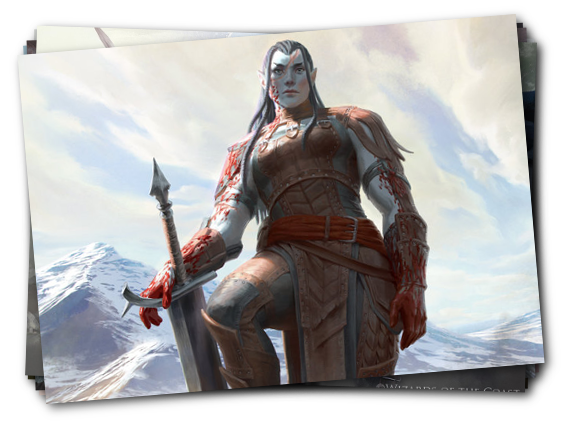 Danitha is practical – her side-shaves are for a helmet’s sake, for example – and she’s family oriented. She wants what’s good for Raff, and wants to protect her family from the Cabal. She may be more of your ‘single mom struggling with too much’ mom, but she’s still excellent at momness. – is an excellent lesson to pass on. Naru Meha is definitely one of your more jocular, goodnatured moms who can, okay, yes, take to the skies and copy a game-winning displace to ruin someone’s day. An academic from Tolaria, she’s got a real appreciation of knowledge, but also an understanding of how we’re not all bound to the rules that exist when we started. Naru Meha has a great momness to her. You can imagine her teleporting across the quad to make sure you have your lunch before teleporting back to her own home to get back to her studies, reading fervently as she sips tea and enjoys a late-afternoon beignet. She’s clearly older, and yes, inherited a great legacy, but she doesn’t let that get in the way of her work as a teacher and as a scholar. Okay, hold on, hear me out. 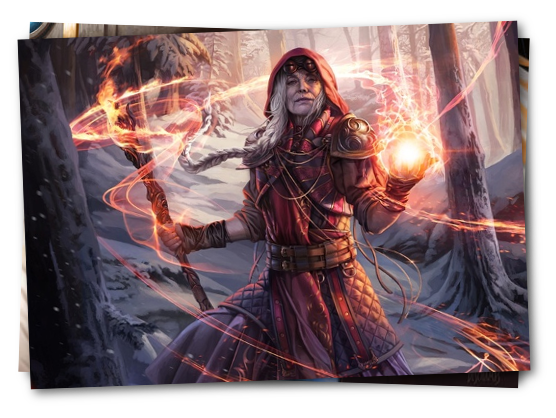 If you don’t know who Gix is, Gix was the demon in the story of Urza’s Destiny who opposed Xantcha, who was the – who was the hero of that story arc? Look, okay, you don’t know who Xantcha is either, okay, okay. I see. The thing is, Rona here is a disciple of Gix, but that doesn’t mean she’s met the dude. 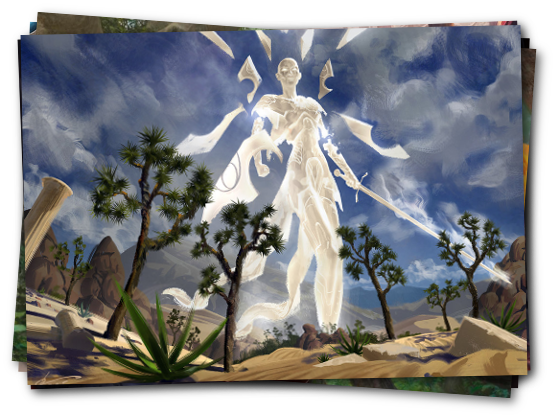 Odds are good Gix is dead and gone, since sixty years ago, Xantcha stuffed him into a portal and the Phyrexians were pretty badly messed up. The important thing here about Rona is that she’s a woman with an eye for history, and an eye made out of artifice. What’s more, Rona having this pre-existing bias towards some connection to the Phyrexians and yes, their empire of unutterable evil, is bad, but that’s even better here for a story about helping to save and redeem her! It’s important for a mom to have her own interests, and Rona’s interests… just… kind of include potential apocalypses. She also looks really cool and is a woman who wants to let you build on your own history. Plus, if she’s transhuman with her artificial components, she has all the time in the world to slowly transform from her current Gixian disposition. Okay, you’re right, this was a bad idea, let’s move on. I already wrote about how much I love Tetsuko Umezawa, but I didn’t in that article talk about what makes Tetsuko such a great character. First, she’s a mono-blue character. Blue characters tend to believe in the idea of the tabula rasa, the notion that a person is a sum of their choices, and not inherently built into a particular destiny. This may be frustrating in some arguments, but when you’re dealing with a parent, you really want someone who’s willing to accept that you can change from what they think of you. – follows up on this philosophy. Tetsuko is about choices. Shalai, Voice of Plenty, is the ultimate backstop mom. 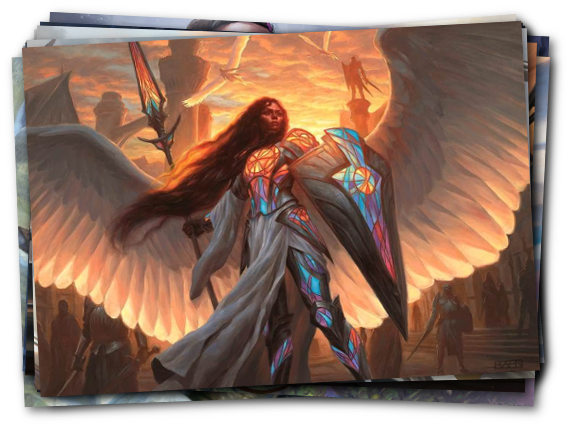 Okay, she may spend her time hovering over you, but that’s to make sure you have hexproof, and maybe to give you +1/+1 counters if you need them. 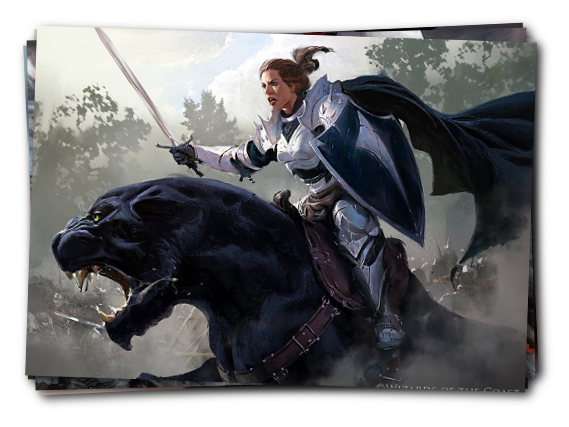 During the Phrexian Invasion, she saw the elves of Llanowar fight against the power of the Phyrexians, and found herself drawn to their willingness to fight and protect others. Shalai also crucially is willing to accept that there is a cruelty to memory. Some people have lived through terrible, awful things, and she knows that it’s important to let those people handle that in their own ways. Forgetting pain isn’t weakness – it’s a way to soldier on. Shalai may be a bit focused – she definitely doesn’t have that much of her own stuff going on – but she’s absolutely focused on being a good mom. This is one of your aspirational kind of character mom slots. The reason Shanna would make an excellent mom is she’s looking to step up. For a lot of people, the responsibility and care for another’s life is something people take on sometimes by accident and sometimes with a really limited perspective on what it means. Not Shanna. Shanna is the descendant of Sisay. She’s immune to magic. And in the future, she’s going to run the Weatherlight and protect everyone. 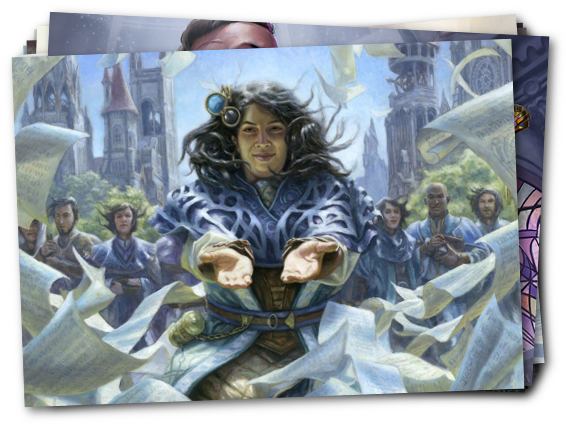 Every time I made this list, Jhoira kept creeping up, higher and higher until I really found the point she could go no more. 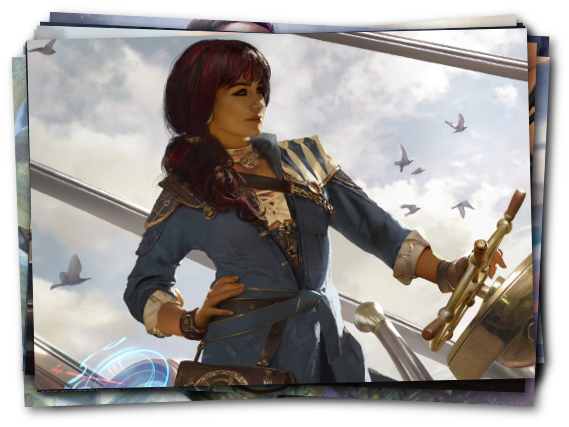 Jhoira, the new captain of the weatherlight is both old enough to be disconnected from You Kids’ Stuff, but also caring enough to be interested in trying to understand it. Jhoira can be vengeful and petty and also thoughtful and understanding. She’s got an old boyfriend kicking around (it didn’t work out) and a crew full of kids she needs to keep in line and help out. You know, the classics – earnest girl, scene vampire, doofy illusion boy, and the fungus ewok. 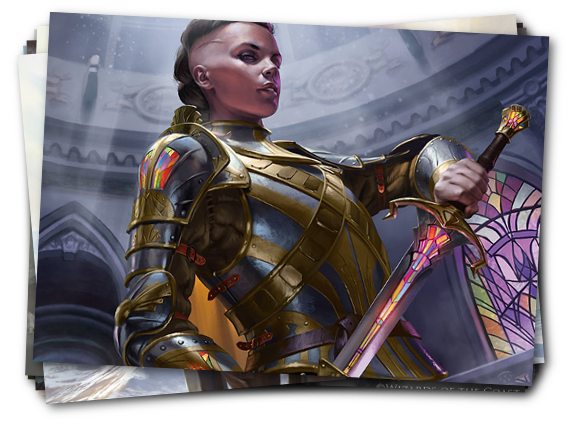 Jhoira also just has amazing style. I mean, c’mon, look at that coat and gloves. Tiana’s in good hands with a mom this cool. Sometimes momness is in how you present yourself – such as Naru Meha’s perpetual air of Scones In A Moment, Dear – and sometimes it’s in what you do. 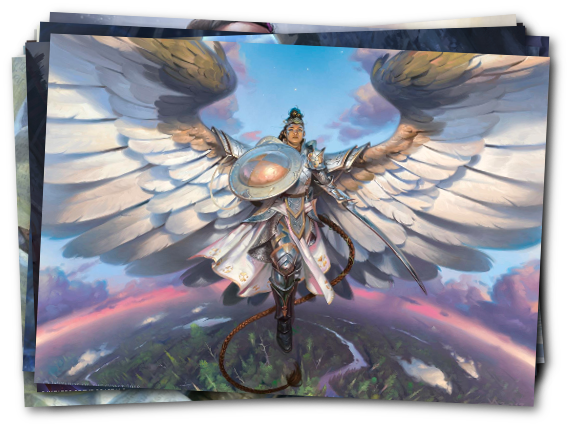 Lyra Dawnbringer has the idealism and purity of a mom who wants to protect and care for her children, coupled with the oh so slight overreach in her flavour quote. It’s not just that you should believe in Lyra. It’s that Lyra believes in you. 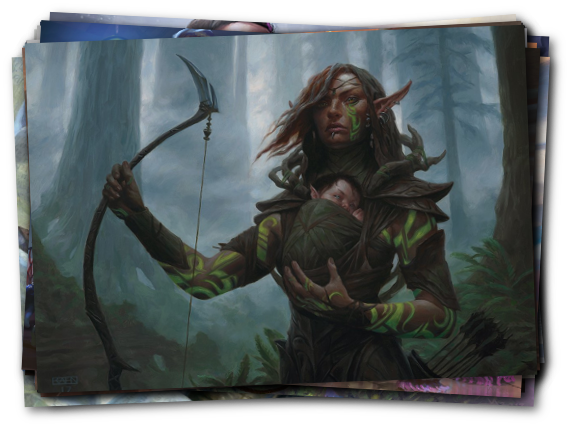 And when the time comes to represent a mom in Magic, it’s kind of hard to look past Marwyn, the Nurturer, a mom so mommish she has a literal actual baby in her art. 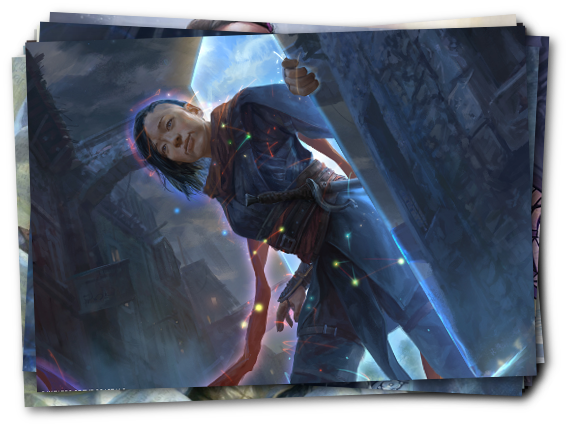 Marwyn isn’t necessarily that baby’s mom – she’s a midwife, who celebrates every new life brought into Llanowar – but she’s definitely got the momness to her. You can easily imagine Marwyn doing archery in the backyard, because her backyard is Llanowar and it’s huge. She’s not your Shrug and Shawl kind of mom, no, she’s the Let’s Go Hiking mom, the one who buys a new dog for every kid, so they all can guarantee they have a friend. She’s the kind of mom who doesn’t care how well you did at soccer, but cares about how you feel about it.